More so than mac and cheese, chicken fingers, or even French fries, rice has always been my favorite comfort food. When I used to get sick as a kid, my mom wouldn’t make me chicken noodle soup—instead, she’d dish up a simple bowl of rice doused in melted butter and lemon juice. I swear, coupled with The Price is Right, it was almost worth getting the flu for. My recent adult equivalent of sick-food-meets-comfort-food emerged out of the mandatory prep for my SIBO test. 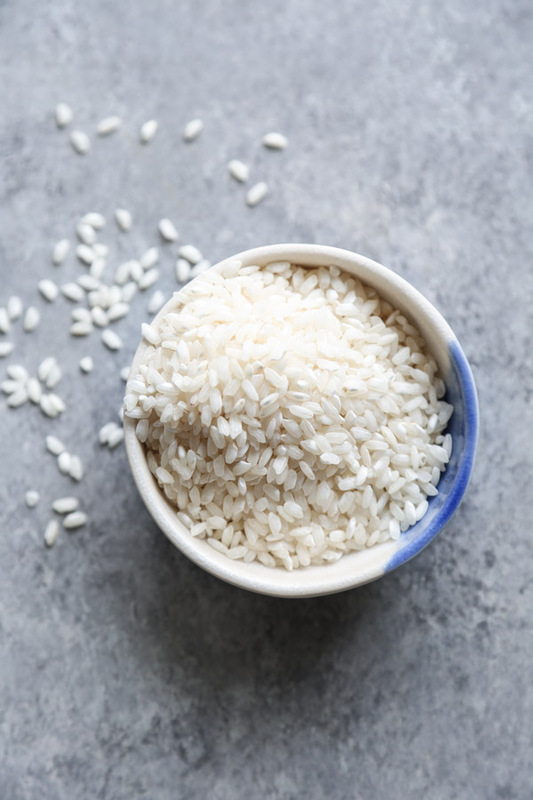 If you’ve been through it, then you know that one of the frustrating parts about the breath test is that you can only eat white rice and plain protein for the 24 hours prior. Only, I ended up not finding it frustrating at all. Eating as much as I wanted of my mom’s old comfort food, whenever I wanted, was glorious! Even if I may have bent the instructions slightly by adding more than a modest amount of butter and salt to my portions. 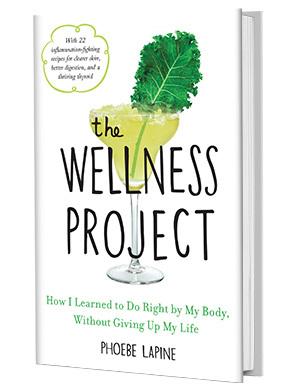 When I first started making over my diet to heal my Hashimoto’s, and indeed between those SIBO tests when I was told to heavily reduce my sugar intake, I sometimes felt guilty about my cravings for a big bowl of carbs. But now that I’m more practiced in the art of healthy hedonism, rice has found a sweet spot on my plate, joined by other nutritious fiber-rich things that don’t just include butter. 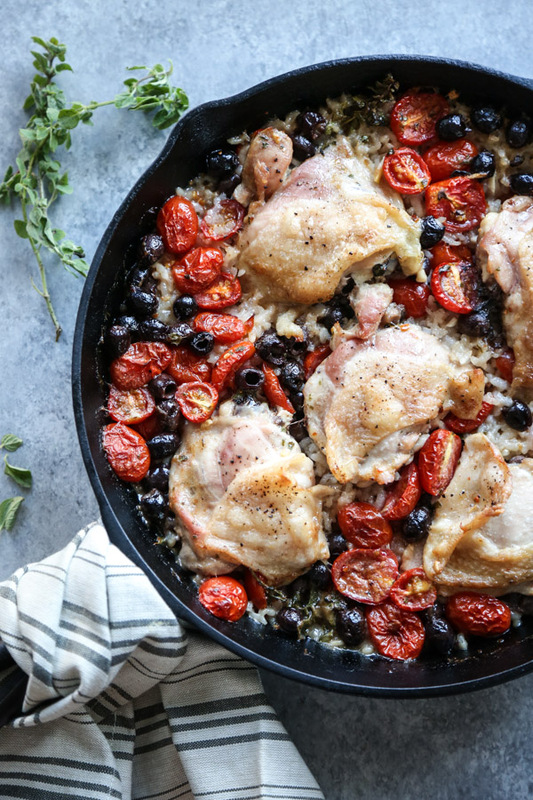 One of my favorite ways to design a healthy, comforting meal around this prized grain of mine is to make a baked chicken and rice casserole. I’m not talking about the cream of mushroom soup based baking dishes of your parents’ childhoods. My versions eschew the goopy soup, include lots of fresh produce, get packed with spices and flavor, and are cooked to perfection so that the rice holds its own and really sings. You might remember this Asian-inspired version, i.e. what would happen if your favorite chicken and rice casserole went to Thailand and came back with a scandalous love child. 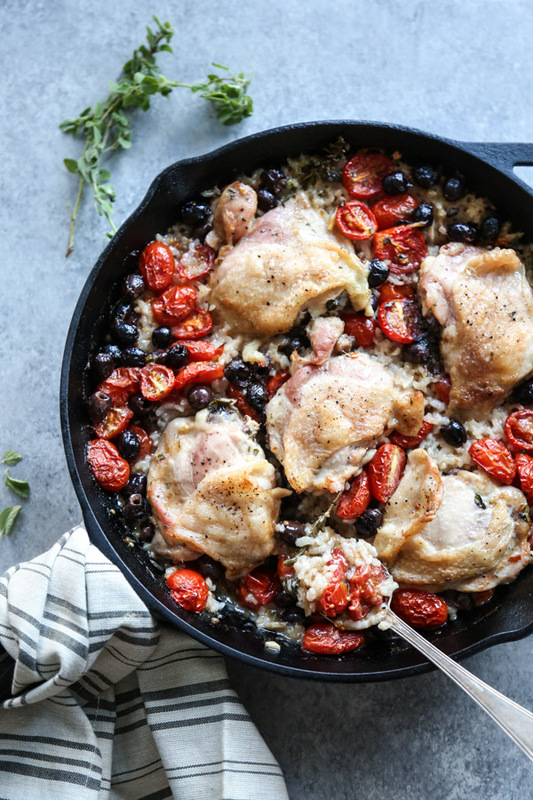 Well, after returning from Slovenia and Italy, I wanted to make a chicken and rice recipe inspired by the Mediterranean, only using some of the best rice grown stateside in the USA. 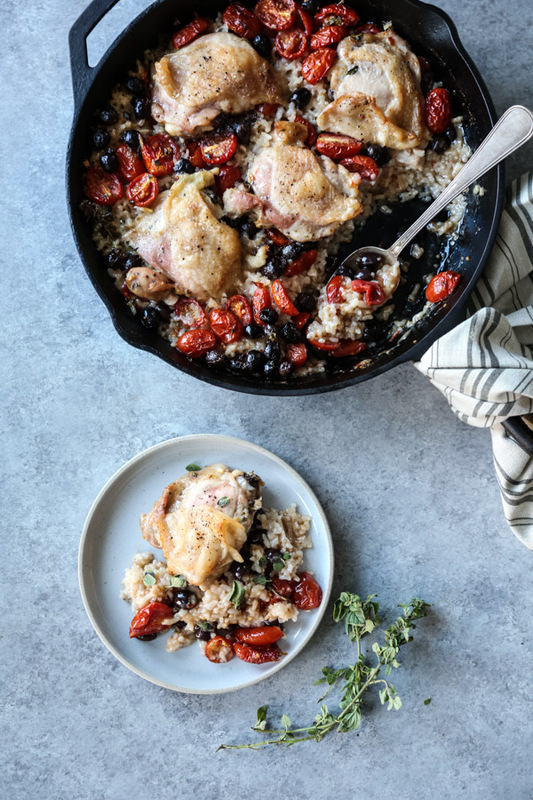 The trick for thickening this Provencal chicken and rice casserole without having to use a canned soup or béchamel is Arborio rice. 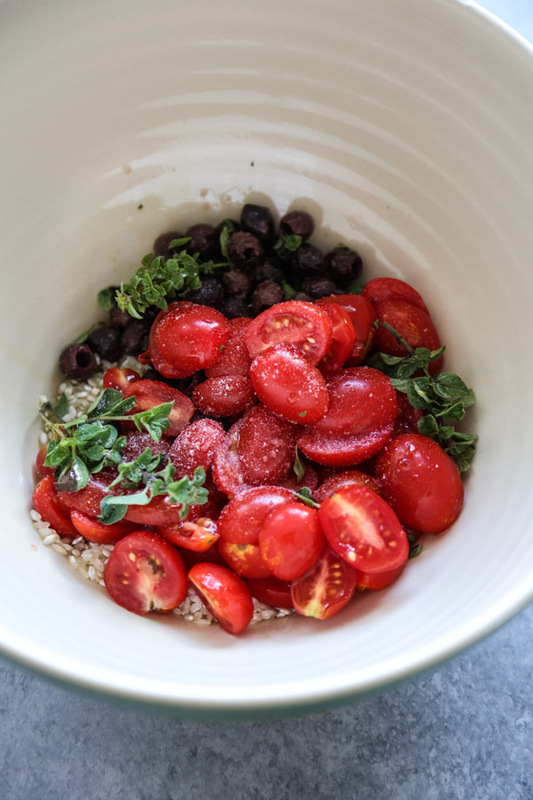 The extra starch helps the whole thing glue together, and by the end of the 45-minute trip to the oven, the grains are perfectly tender, the cherry tomatoes are sweet and caramelized, and the briny flavor of the olives has had a chance to meld and intensify, adding their healthy fats to the mix. Arborio is a medium grain rice with a characteristic white dot at the center of the grain. You might know it, primarily, from making risotto. Since it has a high starch content, using it is a great gluten-free healthy way to develop a creamy texture in your dishes without using any dairy. And though many associate arborio rice with the home country of Italy, a large portion of the crops are grown in the US! If you’re curious where your rice comes from and want to try to source locally rather than overseas (which, with an eye towards sustainability, I always encourage), simply turn over the package and check for the USA Rice logo on the back or see where it was grown. I used this Arborio from California! 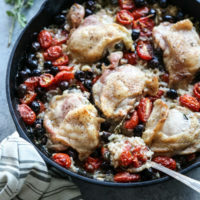 Read on for this baked Provencal chicken and rice casserole recipe, which marries the best antipasti flavors from Italy and herbs from France, with rich, healthy rice from this side of the pond. This baked chicken and rice casserole recipe couldn’t be more simple. 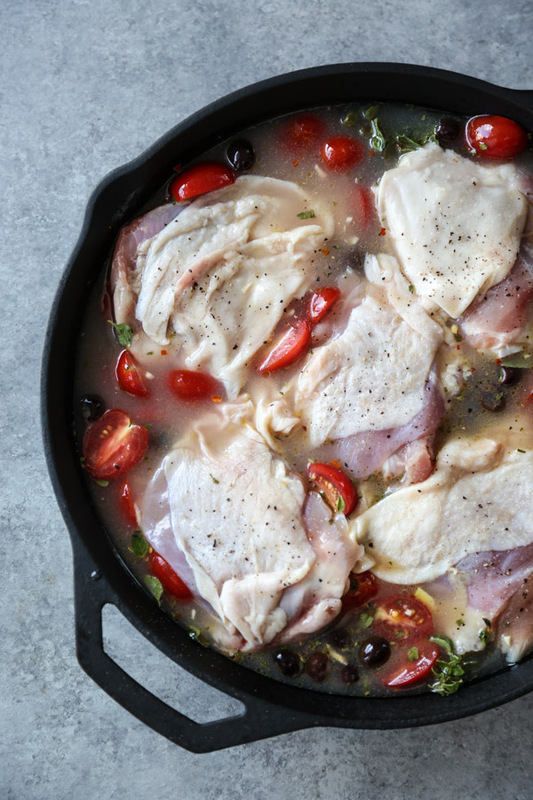 You toss all the Provencal ingredients together in a bowl and dump it into the baking dish—easy! 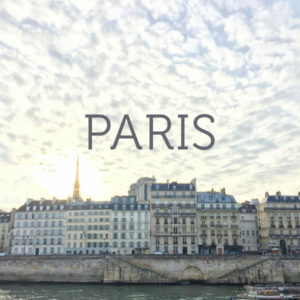 If you don’t feel like sourcing the fresh herbs, you can use a premade herbs of Provence mix or settle on just one, fresh or dried. 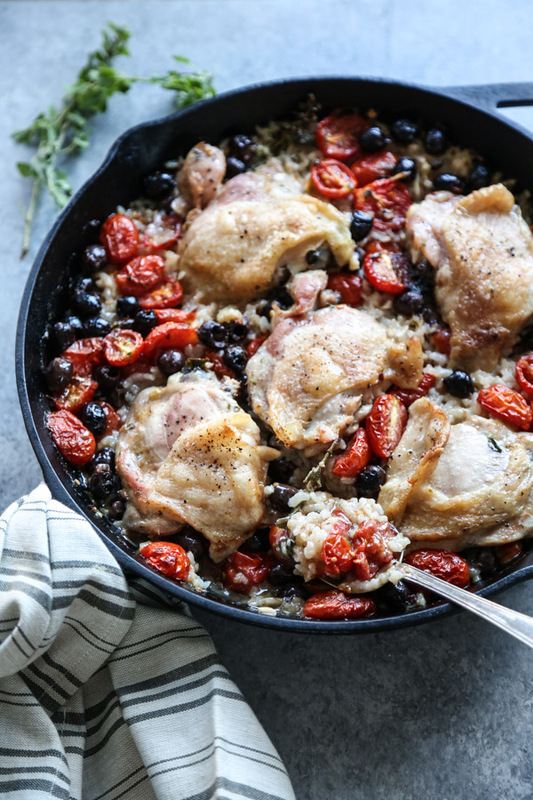 In a large mixing bowl, combine the Arborio rice, olives, garlic, cherry tomatoes, olive oil, chili flakes, oregano, chicken stock, wine and 1/2 teaspoon sea salt. Fold the ingredients together until well-mixed. Transfer to a 10-inch oven-proof skillet or a 9 x 13 casserole dish and arrange in an even layer. Nestle the chicken thighs, skin-side up in the rice mixture and season generously with salt and pepper. Bake the casserole for 45 minutes, or until the rice is tender and most of the liquid is absorbed. Remove from the oven and allow to rest for 5 minutes. Serve warm with a green salad on the side. This recipe is a great low FODMAP option if you omit the garlic! 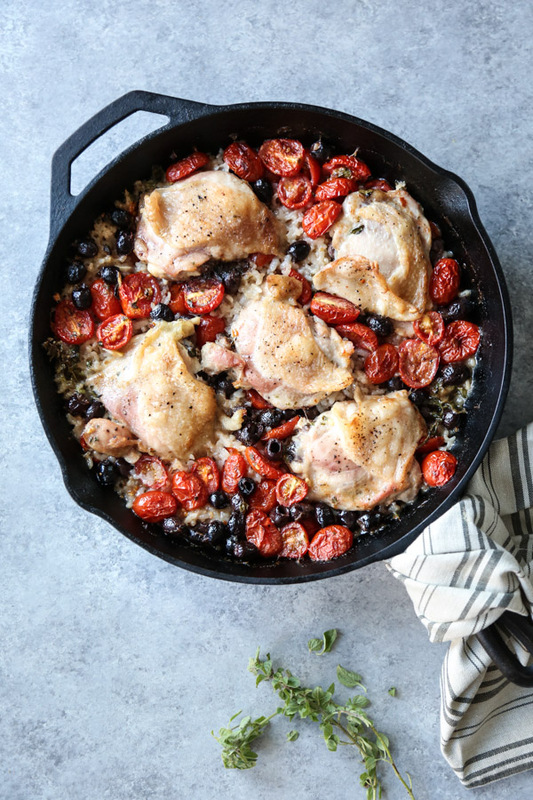 This easy baked chicken and rice casserole recipe is brought to you in partnership with my friends at USA Rice & TheFeedfeed. All opinions are my own (duh). Thank you for supporting the brands that make this site (and my healthy comfort food) possible! We absolutely adored this dish (and of course pinned it for immediate use lol)! Arborio must be definitely great for this and we will be using it. We try similar dishes with Carolina rice in the past, have you tried it this way? Thanx so much for clarifying sweetie, greetings from sunny Athens! Hi Phoebe, I have to say this is the first ever comment I’ve left about a recipe, but good lord this was delicious! My kids wolfed it down, too! Thank you so much! Love this dish- started making it a few weeks ago and it has become a regular in my rotation. Very simple and easy to make but absolutely fantastic, decadent taste! Thank you for this recipe.